Beneath Cassie's sarcastic and gutsy exterior lies a caring and compassionate soul who finds it difficult at times to show her true feelings. She gives everyone a chance to prove themselves to her, and puts a lot of faith into people. Cassie discovered a wasp with a heart, one of Astronema's monsters who did not want to be evil. She stuck by him, and defended him against both the Rangers and Astronema's forces. Her weapon was the Satellite Stunner, and she piloted Mega V5, the tank. 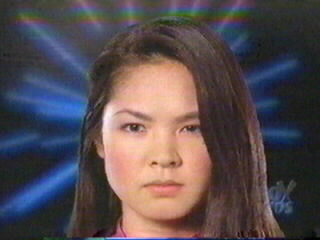 After years of inactivity, Cassie returned as the Pink Space Ranger to help the Galaxy Rangers fight the Psycho Rangers, and almost lost her powers to Psycho Pink.